If you were like me over the holiday break, you spent time catching up. Reading papers, magazines, watching news stories, visiting with friends and families. Telling and hearing stories. It was during this down time that I explored Hatch. Hatch is a new platform for digital storytelling. Created by Hattaway Communications and supported by The Rockefeller Foundation, this free, online resource is designed to help organizations use the power of storytelling to increase their reach and resources. The site was very user friendly and takes you through a five-step process to help you strategically craft and share stories. As you answer the questions in each section, you are provided with suggested tools, case studies and resources that are customized to your needs. Perhaps the best part is that all your information is saved so you can go back at any time and access your customized information. While on my iPad, sitting in front of my fireplace on a cold winter’s night, I went through each of the five sections. It took about an hour (but I also read every resource they suggested). Before long I had developed a narrative framework that defined why Health Forward exists, the people we serve, the ideas we want to advance and how we aim to accomplish our goals. I also went through an exercise on capacity and how to build a sustainable storytelling organization. It made me think about talking more closely to my colleagues about how to identify and share good stories. It also made me think about adding a “submit a story” section to our website to hear more easily from those we fund about the work they are doing. In the platform section, they helped to identify the right places and platforms to establish a connection with Health Forward’s audiences and how stories can help your audience connect with you and others who care about your mission. And if that wasn’t enough, it helped me build indicators, track metrics over time and explore a variety of tools for measuring reach and engagement on social networks. I also found an abundance of resources I think would come in handy for many of the organizations we fund. 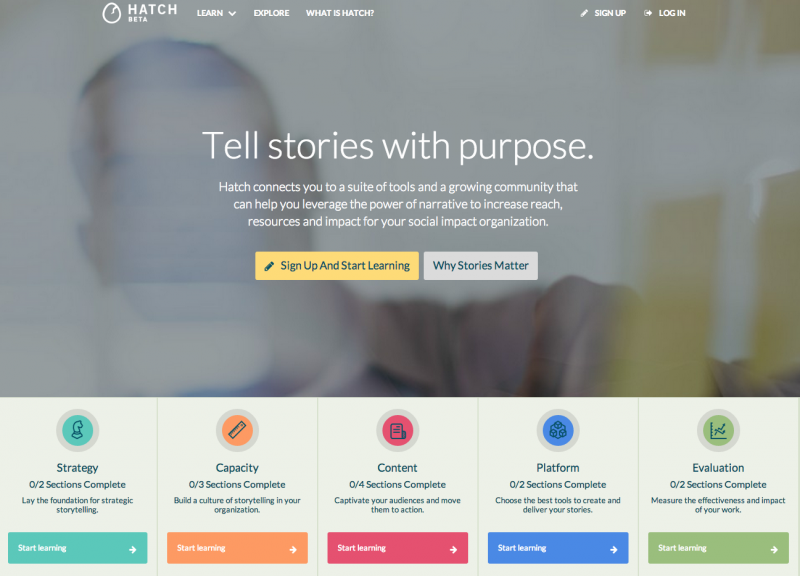 There is information on Hatch about how to create story banks, how to use stories on donor visits, and how to better use digital tools and platforms to share your stories. While at a Communications Network conference this past fall, I heard the Rockefeller Foundation present on this new website. 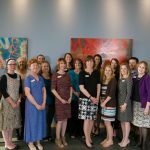 At the time, I was intrigued by the idea and how it might help our grantee organizations. Now that is live (but still in a Beta format as they continue to improve the user experience), I’m even more impressed. The Communications Network recently wrote a blog post about Hatch, as did Doug Hattaway himself in this entry. So if you haven’t yet, think about your New Year’s Resolution. Consider how you are going to use the power of narrative to achieve your mission. Check out Hatch and see if it can help.